Have you just moved out on your own and realized you've never used a vacuum in your life? Do you feel overwhelmed by all the intricate parts of a vacuum that you just want to quit altogether? Well, the new Electrolux EL4071A T8 Bagless Canister Vacuum should be the perfect fit for you. With its standard cleaning capability and easy-to-use functions, this vacuum is a the perfect starter. Let's start with the overall look and feel of the vacuum. With its sleek chrome telescopic wand and benign orange color, the T8 Bagless takes out any embarrassment one may have while cleaning. You won't pull a muscle carrying this vacuum up any stairs either, as its total weight is just 8.2 lbs. Turning on this powerful 10 amp machine is a simple push of a button on the back of the canister; you can even use your foot, so there is no need to bend over and risk breaking a sweat. The average noise level is to be expected on this standard vacuum. The 6 ft. hose allows for easy access to any mess around your home without having to relocate to a different plug. Use the various attachments for more specific spots: the combination dusting brush and upholstery tool for cleaning pet hair and crumbs off delicate items such as drapes, chair legs, and lampshades;crevice tool for those hard to reach areas; and the low profile nozzle brush, which is able to clean hard-to-reach areas under furniture with its 1" size. The T8 Bagless also comes with the hard floor parquet brush for tile and hardwood floor. Each are simple and easy to use, especially the combination dusting brush and upholstery tool, which makes you feel like a wizard as you transform it with a simple flip and lock of some plastic. With these attachments, you can now begin your reign of terror against the dust and allergens in your home. The Electrolux T8 Bagless uses allergen filtration to help in the fight against allergy and asthma symptoms. Paired with a 10 inch wide cleaning path, not only will your home be as clean as ever, but it will take even less time, giving you more time to enjoy dirtying it up again. The comfortable handle allows for an easy glide while cleaning. Its multi-cyclonic suction system allows for the T8 Bagless to never lose suction. The air vent slide control on the telescopic tube allows for a change in suction level for those more delicate surfaces. As you finish your attack on dust, there is still little need to bend over. Once you unplug the machine, simply push the auto-cord rewind button and watch the cord effortlessly retract back into the vacuum. Releasing the dust cup from the base is done with a simple push, while the top opens by releasing two clips and squeezing the top. One flaw to the bagless dust cup is the eventual backlash of dust that comes with opening a full dust cup. Be sure to perform this duty over the trash so it doesn't go on your now-clean floor. 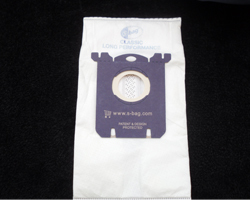 While going bagless is not the best idea for easy cleanup or allergies, it is beneficial for those who wish to cut costs on buying bags. 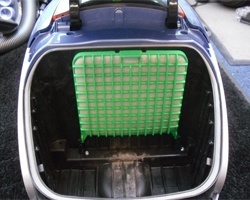 You will never lose an attachment again with the ability to attach each part to the base with the tool caddy. To do this, attach the combination dusting brush and upholstery tool to the telescopic wand and then attach the wand to the base with the tool caddy. 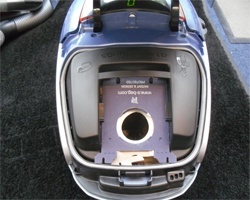 While this causes the vacuum to take up the same amount of space as an upright, it is a small price to pay for convenience. With a base price of $249.99, the Electrolux EL4071A T8 Bagless Canister Vacuum is both affordable and practical for those on a budget. Unsure of the durability because of the low cost? The T8 Bagless comes with a 5-year warranty, which should reassure any doubts anyone may have about how this will perform for them. Overall, this vacuum gives standard cleaning power with easy-to-learn controls that makes even a beginner feel as though they can accomplish anything. Today, nearly all vacuums are made overseas. Many companies sacrifice the machine’s quality to pump out higher quantities to sell in oversized department stores that have a life expectancy of maybe 14 months, just long enough to outlast the warranty. Riccar does not buy into that scheme. 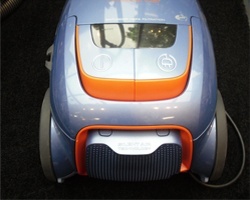 Riccar crafts each vacuum in the United States and builds their machines to last. Riccar places quality as their number one priority. Most companies prefer production to performance. They outsource the work and building to other countries to save money and cut corners. The machines made are of lower quality materials, quickly and carelessly assembled, and shipped back to the U.S. From there, the corporations focus heavily on advertising campaigns aimed to allure the consumer into purchasing these subpar vacuums that work half as well as needed and last less than they should. 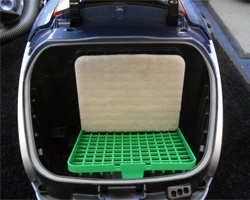 Riccar uses durable materials made in America to ensure longevity and customer satisfaction. 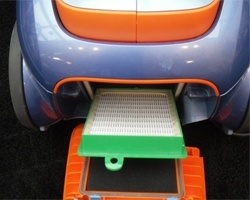 Many models contain metal dirt agitators, sole (bottom) plates, and components throughout the vacuum providing the customer with a vacuum able to withstand the stress of use and tests of time. 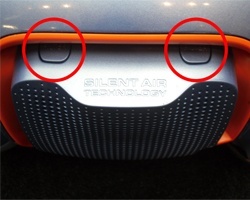 Riccar refuses to sully their name and risk their reputation by issuing less-than-premium products. Vacuums bearing the Riccar name uphold decades of superior models. Riccar boasts a wide array of models in several vacuum lines, including: canisters, uprights, commercials, and lightweights. No matter the size of the home or business, the flooring, or job requirements, Riccar has the model ideal for your needs, able to perform for years. Each vacuum features the highest quality materials meticulously manufactured resulting in an elite machine to clean your home to white glove appearances. If you’re tired of purchasing low-end, defect department store vacuums every 14 months only to watch it break as your home never becomes as clean as you want, look towards Riccar. You don’t need another imported hunk of junk. Call eVacuumStore.com to learn more about the tough, powerful, long lasting American powerhouses ready for any job you throw at them. 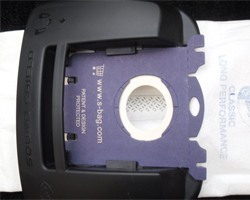 Ever wondered what those small images on the side of your vacuum box meant? We've all noticed them in passing, those oval-shaped bubbles with words we don't care to investigate. 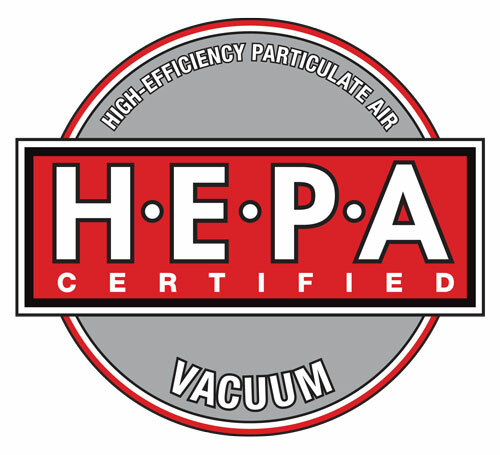 Luckily for you, we're here to tell you exactly what the seal on your vacuum box means. Since 1909, Good Housekeeping magazine has been evaluating and rating apppliances and items in order to guarantee the consumer is receiving the best product possible. In terms of vacuums, Good Housekeeping looks for durability and a high cleaning performance when stamping their seal of approval. One brand that is consistently approved with the Good Housekeeping Seal is Miele. Not only does Miele vacuums manufacture a durable product, but it is also top of the line in terms of filtration and suction control. But what does this seal do? Well, Good Housekeeping believes in each of its approved products so much, that it guarantees a two-year limited warranty when purchased from an authorized dealer, such as ourselves. If a part is defective, Good Housekeeping will replace or repair the part or refund the purchase price. Another seal you might find on your vacuum box is one by J.D. Power & Associates. Known for their consumer ratings and awards, J.D. Power & Associates rates everything from cars to healthcare plans. 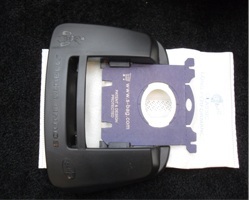 The company was founded in 1968 as a way to control product quality and review buyer behavior. According to consumer customer satisfaction surveys, Miele has rated the highest in customer satisfaction in uprights for two years in a row and canisters for one year. With both seals, you can be guaranteed that you're purchasing a vacuum of impeccable quality and a terrific track record across business and consumer reports. With J.D. & Associates' high-standing reputation and Good Housekeeping's two-year limited warranty, there'll be no need to worry about how your vacuum will fair after a few months of cleaning. 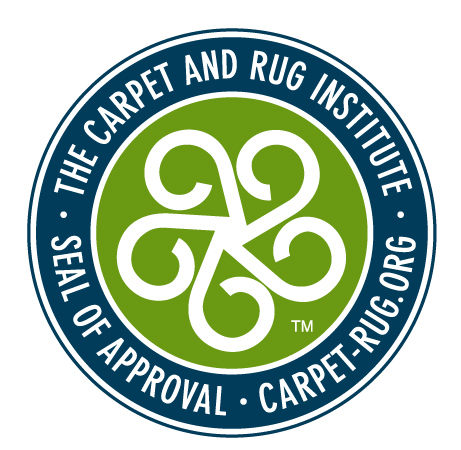 Other certifications and seals of approval include HEPA Filtration (High Efficiency Particulate Air Filtration), a certification applied to vacuum cleaner filters that are among the highest-rated in the industry, the CRI (Carpet and Rug Institute) Green Label Seal of Approval, a certification awarded to vacuum cleaners tested by the Carpet and Rug Institute and measuring highly in the categories of Soil Removal, Dust Containment, and Carpet Appearance Retention. ***For more information on any of these seals and certifications, please call our customer service department at 1-866-972-8227.